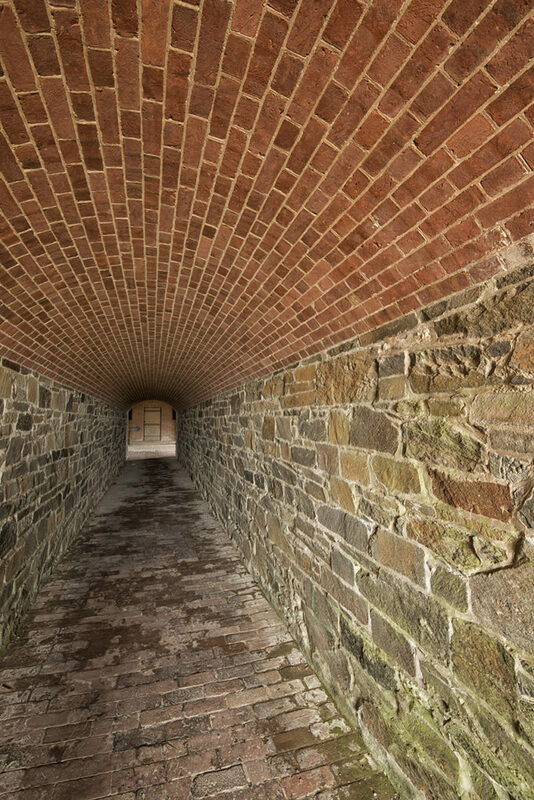 I recently spent a morning with friends from the District of Colombia Urban Exploration (DCUE) group, photographing Fort Washington in Maryland, a 200-year-old fort that sits on the east bank of the Potomac River, twelve miles south of Washington. 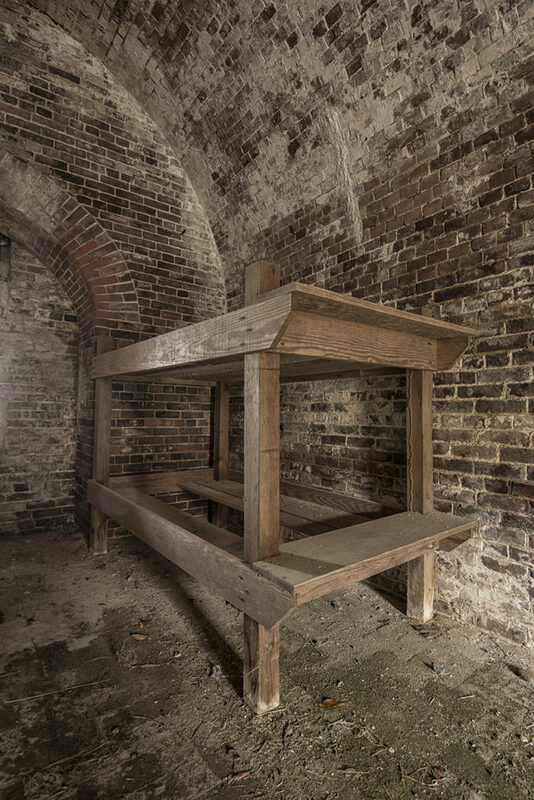 The fort was built in 1809 to defend the republic’s new capital – Washington having been declared capital of the United States in 1790 – against attack from the south by ships which might approach from the Atlantic Ocean through the Chesapeake Bay. This was just three years before the War of 1812, when the British blockaded the Atlantic seaboard of the United States, and five years before the burning of Washington in 1814, when the fort was abandoned by its garrison and captured by the British. One can imagine that the residents of Washington must have felt their southern flank was vulnerable to the might of the Royal Navy. The fort is now the centerpiece of a national park, laid out over a sprawling, hilly site, which offers hiking trails that run between the fort’s abandoned barracks and battery buildings. The site is huge and certainly too big to cover in a single day, so I focused my attention on exploring the buildings that make up the main fort complex. 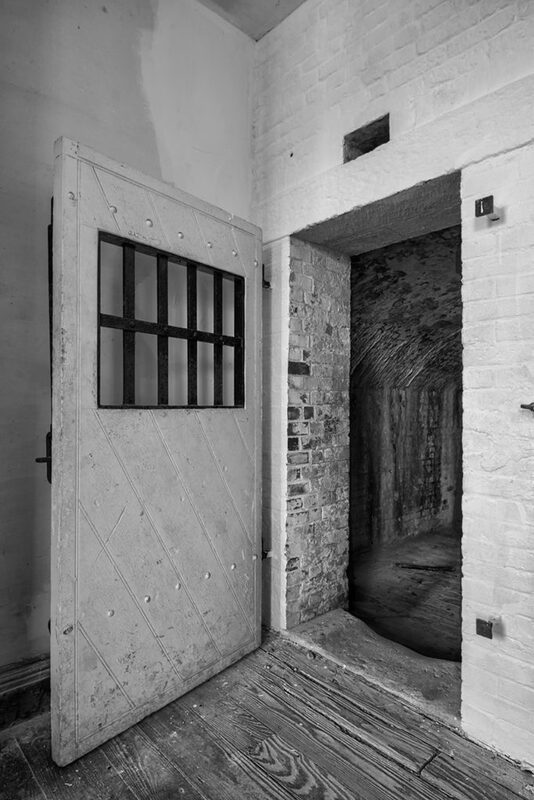 These include the fort’s imposing main entrance gate, a sturdy gatehouse with thick walls and heavy doors (second image), artillery batteries and lines of cavernous, redbrick outbuildings, which served as the men’s living quarters (third and fourth images). 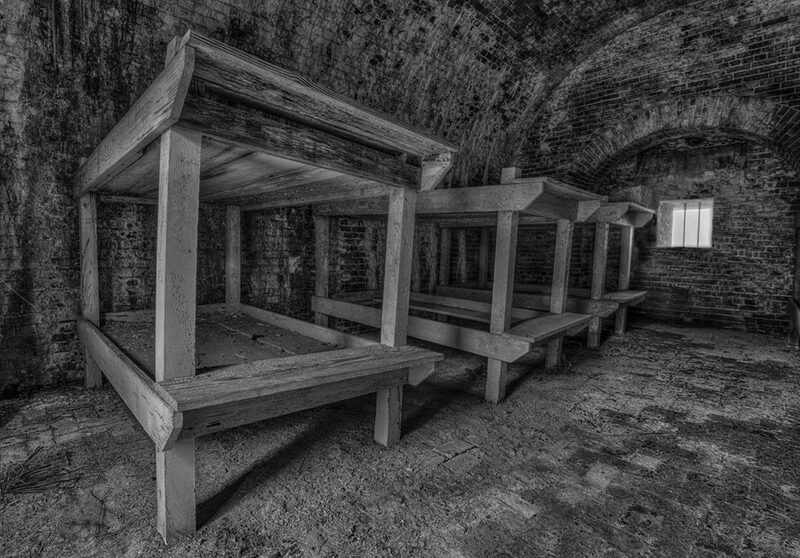 These latter buildings where so cold, drafty and dank, from the nearby river, that I imagined the men must have nearly frozen to death, sleeping here on their basic wooden bunk beds in the sub-zero temperatures of a Washington winter. The site also includes a labyrinth of tunnels, which afforded me some interesting opportunities to play with lines in composition (fifth image). During my visit, I had an informative talk with the two gentlemen pictured in the headline image. Both volunteers, they turn out in their replica uniforms to greet visitors to the fort. 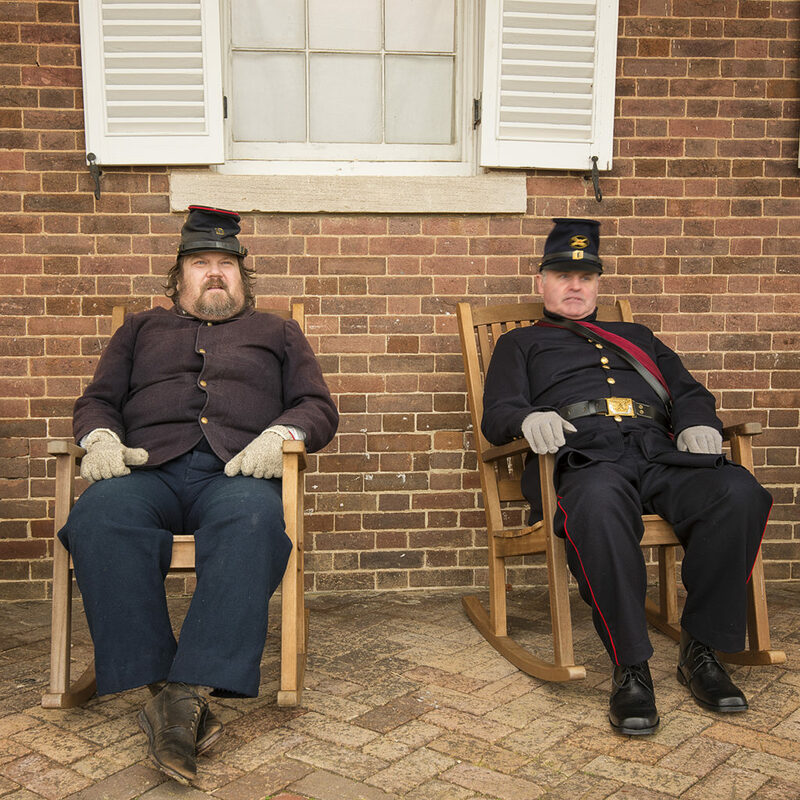 These gentlemen provide guided tours, recount the dramatic history of the fort, as well as occasionally firing the canon and conducting demonstration musket firings, which enthrall visiting children. I was deeply impressed that their commitment to keeping alive America’s military history for the current generation is so great that they come on even the most bitterly cold winter’s morning to greet and inform the very few visitors who frequent the national park on a frigid Sunday morning in February.